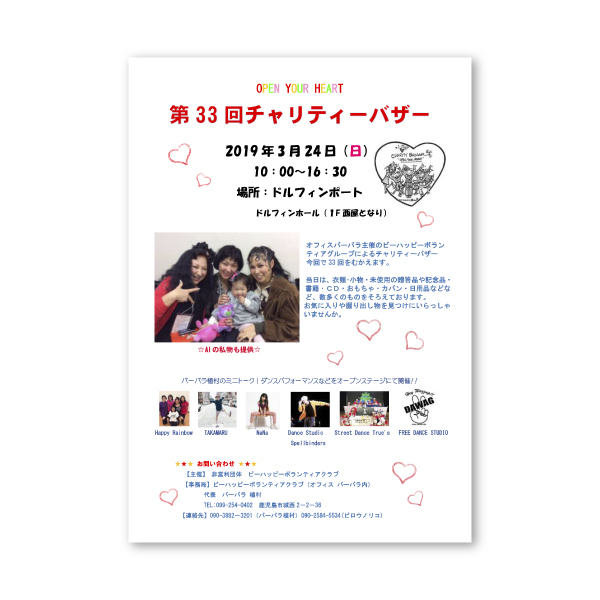 In March 24,The 33th Annual Charity Bazaar. Top > Information > The 33th Annual Charity Bazaar. The 33th Annual charity bazaar is held on March 24, 2019.